When in Grand Teton National Park, take a hike! The wilderness trails give access to all kinds of wildlife! 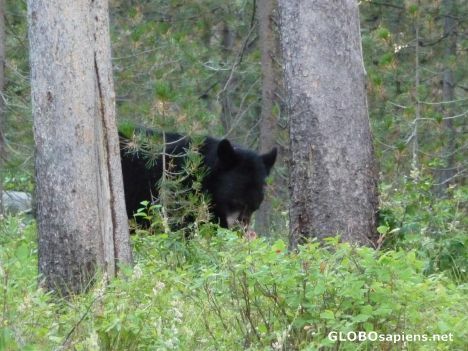 This Black Bear (we saw a grizzly too but it was too fast) finished what it was eatting before meandering away. Eire, this must have been really exciting. I saw a TV programme about black bears, who were approaching human households in search for food. They were said not to be that dangerous... Grizzly is another thing, right?